The David Ortiz Celebrity Golf Classic online auction benefits the David Ortiz Children’s Fund, a non-profit organization that provides critical care services to children in need. The auction features a host of once-in a life time experiences, including the opportunity to learn to pitch from Red Sox Ace Clay Buchholz, a fielding lesson from American League MVP Dustin Pedroia, a legendary experience with Bobby Orr, a golf vacation in paradise and much more. The auction can be found at http://davidortizchildrensfund.org/ and will be open until December 3, 2010. Can’t quite make it to the Dominican Republic for the David Ortiz Celebrity Golf Classic this year? You can still pitch in and help raise money for children in need through the online auction. The David Ortiz Celebrity Golf Classic online auction benefits the David Ortiz Children’s Fund, a non-profit organization that provides critical care services to children in need. The auction features a host of once-in a life time experiences, including the opportunity to learn to pitch from Red Sox Ace Clay Buchholz, a fielding lesson from American League MVP Dustin Pedroia, a legendary experience with Bobby Orr, a golf vacation in paradise and much more. The auction can be found at http://davidortizchildrensfund.org/ and will be open until 11:59 p.m. ET on December 3, 2010 where items will then move live to the event. On-line bidders will be represented by proxy on-site at the event. The online auction is one part of the 3rd Annual David Ortiz Celebrity Golf Classic which takes place December 2-5, 2010 at Cap Cana in the Dominican Republic, one of the most spectacular resort communities in the world. Expected to attend this star-studded event are David’s Red Sox teammates and coaches, including Terry Francona, Jonathan Papelbon, Dustin Pedroia, John Lackey, Daniel Bard, Jon Lester, Tim Wakefield, as well as other MLB players Andre Ethier, Johnny Damon, Alex Rodriguez, Ryan Howard, and Robinson Cano, among others. The event will also feature sports legends Bill Russell, Luis Tiant, John Havlicek, and actors Mike O’Malley, Jeffrey Donovan, Adam Rodriguez, Sam Page, Anthony Anderson, Horatio Sanz and others. Proceeds from the star-studded event will benefit the Children’s Fund which began in 2006 as a way for David to help children in his home country of the Dominican Republic. In 2009, the Fund expanded its life-saving mission to New England, helping to bring critical care services to children in need through a partnership with Massachusetts General Hospital. David Ortiz jersey signed by Big Papi himself along with Red Sox players Daniel Bard, Marco Scutaro, Jon Lester, Mike Cameron, Kevin Youkilis, Jarrod Saltalamacchia, Victor Martinez, Jonathan Papelbon, Dustin Pedroia, Ryan Kalish, and others. You and 9 friends will attend a Boston Bruins game and be hosted in a luxury suite by Bobby Orr, one of the greatest hockey players of all time. There you can talk hockey with Bobby, a 2-time Stanley Cup Champion (scoring the clinching goal both times), a 3-time winner of the Hart Trophy (NHL MVP), and the only defensemen in league history to lead the NHL in scoring not once but twice. Like a true MVP, Bobby will also throw in food and beverages for the evening! Whether you are a hockey lover or just a sports fan, it’ll be a night you’ll never forget! Not going to make the David Ortiz Celebrity Golf Classic? Here is your chance to experience this luxurious resort. This package includes a five night stay for four at the 5-star Secrets Sanctuary Cap Cana in the Dominican Republic and two rounds of golf at the Punta Espada Golf Club. The ultimate pre-game experience! Visit batting practice and tour the stadium prior to a Red Sox game. You’ll meet David Ortiz before watching the game. Experience the world of a VIP as you dine with David Ortiz at Big Papi’s Grille. You’ll sit at the famous Table 34 and enjoy all of the amazing food and drinks the restaurant has to offer. Throw a party for your child or take your friends out for a great night - the guest list is up to you. Everyone has a role to play and you’ll get to know the Bruins enforcer Shawn Thornton with this Bruins Bruiser package. The winner will receive two tickets to a Bruins Game + a meet and greet with Shawn Thornton. Enjoy the race as if you were part of the team! This package includes 2 pit passes to a 2011 Sprint Cup Series race with a garage tour and an autographed picture from a Roush Fenway driver. Even Santa can’t do better than this. Watch your child’s dream come true as they hand a bat to their favorite player in their role as Honorary Bat Boy or Girl. This package also includes four tickets to a Boston Red Sox home game. A customized Tour Golf Bag from Callaway containing the Red Sox logo and signatures from the 2010 Red Sox roster. Have you ever wanted to take a lesson from an American League MVP? Win this once-in-a-lifetime opportunity and get fielding tips from Dustin Pedroia, the Red Sox second baseman. You’ll get a fielding lesson and two tickets to a Boston Red Sox home game at Fenway Park. Do something most people only dream of doing! You will hear the crowd cheer as you throw out the first pitch at historic Fenway Park. Then sit back with three friends and watch the Red Sox finish the job! MVP level sponsors for the 2010 David Ortiz Celebrity Golf Tournament include JetBlue, vitaminwater, and Reebok. Media partners include WEEI and NESN. For more information about all sponsorship levels and opportunities for the David Ortiz Celebrity Golf Classic, please contact Michele Lasky at michelelasky@company20.com. The David Ortiz Children’s Fund (DOCF) is committed to helping children in New England and the Dominican Republic that do not have access to the critical pediatric services they need. The DOCF is proud to partner with Massachusetts General Hospital to fulfill its mission in New England and with the International Hospital for Children to fulfill its mission in the Dominican Republic. These organizations are committed to healing as many children as possible by providing critical pediatric healthcare. Working together, these organizations are increasing the number of children that will receive lifesaving services. 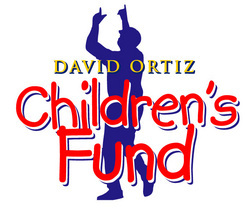 For more information on the David Ortiz Children’s Fund, please visit http://www.davidortizchildrensfund.org/.